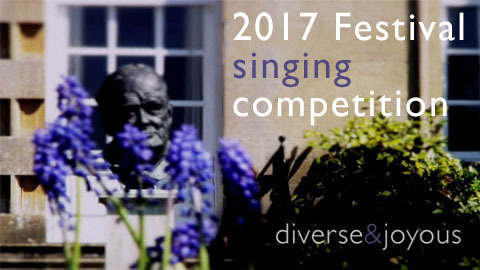 Many outstanding singers have performed at the Festival over the years including Dame Ann Murray (mezzo), Amanda Roocroft (soprano), Neil Davis (baritone), Nuccia Focile (soprano), Linda Richardson (soprano), Jonathan Veira (bass-baritone) and our very own Claire Bradshaw (soprano) and Richard Coxon (tenor). Vocal music is a core passion and central to much of the Festival programming. This year we will further our commitment to the art of singing with our Sixth Annual Competition open to young singers between the ages of 18 and 28. We are especially pleased to welcome composer and broadcaster Michael Berkeley CBE to the panel as our Guest Adjudicator this year.